Taste in jewellery is always changing but if you found a timeless piece that can be worn and loved each day you probably keep it forever! I know that it takes a while to find something special and even i struggle to find accessories that i can wear day in and day out! 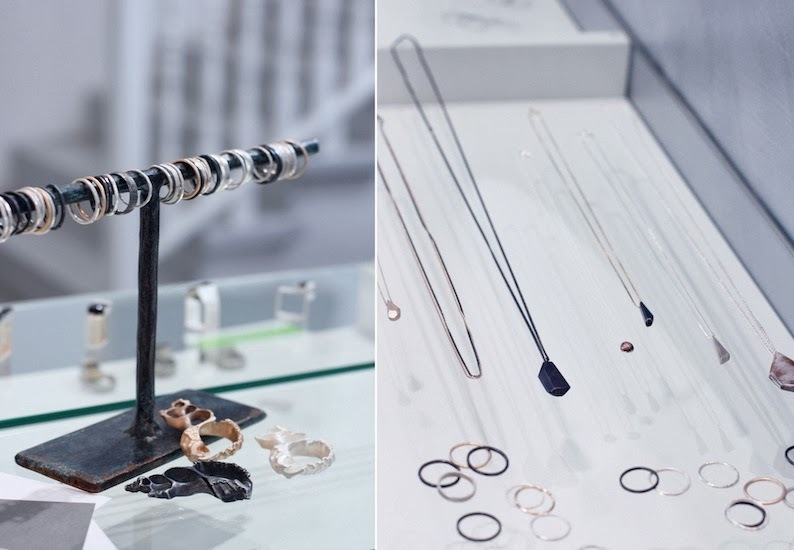 Lucky me i met Katie, the incredibly talented designer behind Katie g. Jewellery, during Vienna Fashion Week where she got the opportunity to sell some of her epic pieces. I was instantly impressed with her collection because all of her pieces happen occasionally through accidents, as well as by experimenting and directly working with a material! Many of her art pieces are created instinctively and most frequently inspired directly from nature and some of them can be layered and combined in different ways and gives any look a new and unexpected twist! 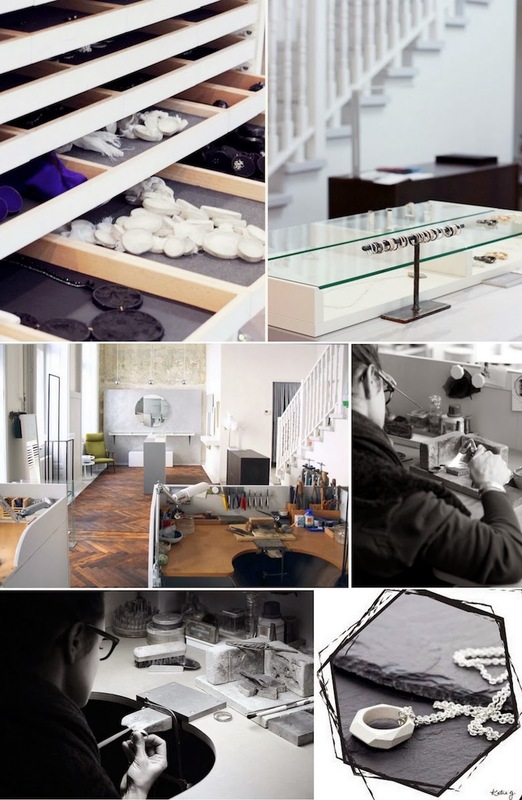 So a while ago Katie invited me to browse through her collection at her studio (located in the Frankenberggasse 11 of Vienna's 4th district) which also happens to be her showroom & shop as well! Before i started taking some pictures we had a nice little chat about the development of her jewellery label and how everything started which is in my opinion always one of the most interesting parts of a brand! She graduated from Alchimia (School of contemporary jewellery in Florence - love this city) a few years ago and has been creating jewellery ever since! 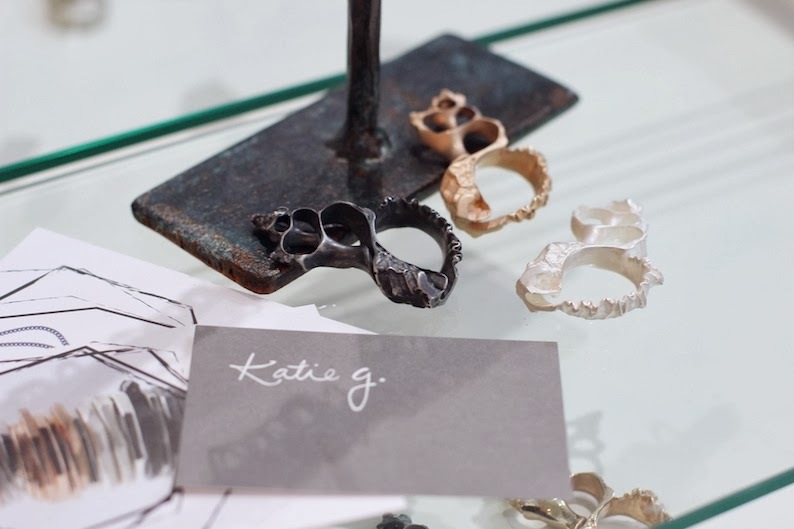 As an artist & designer, Katie is committed to design unique wearable jewellery but she was never really interested by the idea of creating perfect shaped pieces and that's why EVERY single ring/bracelet/necklace etc. 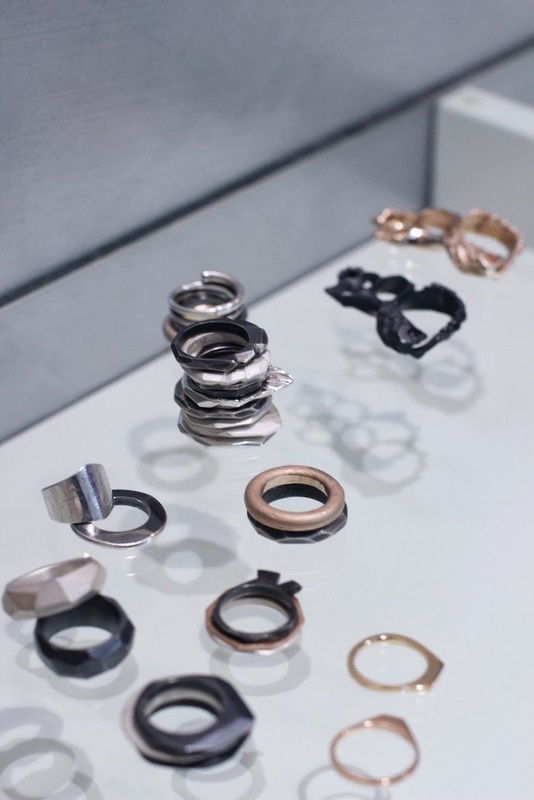 is different, has its own story and the material changes with time - definitely one of the most interesting aspects of wearing a piece of Katie g. Jewellery! So of course i wanted to share a few impressions of her current collection - let me know what you think! I also got the chance to pick out a few pieces just to take some proper outfit pictures because i think it's much more personal than just showing everything on a display! But more on that in the next post - so stay tuned!